Bhubaneswar, Feb 24: Students, foreign guests and heritage enthusiasts explore Monks, Caves and Kings _ the heritage walk at Udayagiri-Khandagiri, but today’s walk was special with participation of four walkers from Indian Armed Forces. While Major Vaneeta Padhi from Army Signals came to join the walk with her father, retired Army official, Colonel Dhirendra Prasad Padhi, Major Tanmay Rath from Army Signals came to enjoy the history, archaeology and mythological journey with his wife Squadron Leader Priyanka Shadangi (retired) from Indian Air Force. Vaneeta along with her father has already explored the heritage tour in the Old Bhubaneswar area in the past and was happy to know the stories behind the ancient and rock-cut caves, various `gumphas’ (caves in Odia) and how the various rulers were associated with the monument at the Twin Hills of Udayagiri and Khandagiri. 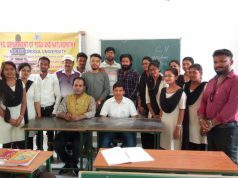 Colonel Dhirendra Prasad Padhi, a retired Army officials from Pokhariput described the trip as a learning experience and was happy to know that students from various city-based national and local institutes are exploring the heritage walks on Saturday and Sunday. It can be mentioned here that Col. Padhi’s son Major Sarit Anand Padhi is also working as a mechanical engineer in Indian Army. Major Tanmay Rath from Army Signals got the idea about Ekamra Walks from Social Media and register online. 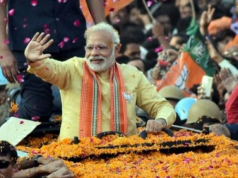 Posted in Jhansi, he said that he would also request his friends both from Odisha and outside to explore the heritage walks of the Temple City. “We have also registered for tomorrow’s heritage walk in Old Town area and very excited to see the beautiful temples, medicinal plant garden or Ekamra Van and Odissi dance recital,’’ said Major Tanmay Rath’s wife Priyanka Shadangi, who has retired after serving the Indian Air Force as a Squadron Leader. 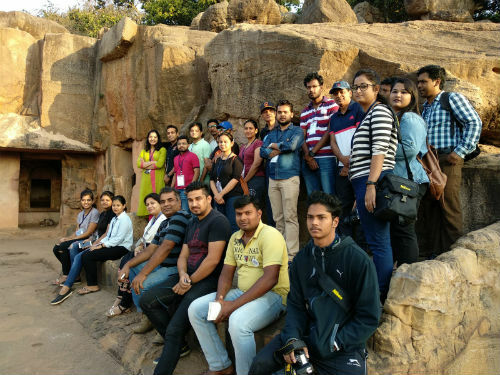 Regular visitors at Monks, Caves and Kings, students from Indian Institute of Travel and Tourism Management (IITTM) continue to participate in the heritage walk, which entered into 12th edition today and there were five from the institute in Dumduma.